The purpose of an encyclopedia is to provide basic information about a topic. Within the article, you should encounter important terms, the names of notable people, and background information on the topic. This can help you establish a foundation for your research. Generally speaking, you don't want to cite an encyclopedia in a college level paper or research project. Most citations provided at the end of an entry in an encyclopedia are ones that would be appropriate to cite (if you make use of them). Sources included are considered classic books and articles on the topic. Full-text online. Also available in print in Addlestone Library. In nearly seven hundred entries, the Encyclopedia of African American History, 1619-1895 documents the full range of the African American experience during that period. Full-text online. Also available in print in Addlestone Library. Identifies and addresses broad themes critical to understanding the texture of the cultures, achievements, challenges, and promise of the 150 million people of African descent who live in North America, Central and South America, and the Caribbean. This volume includes essays on the legal, economic, and comparative aspects of slavery. 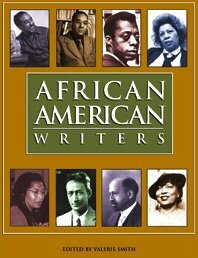 Contains over 1,000 quotations by noted African Americans and black African men and women. Offers up-to-date data on the African-American population within regional, national and international networks. Chronological guide to the people, places and events significant to African American history. Three-volume set examining the black quest for freedom in Africa, the Americas, Europe and Asia between 1400 and 1929. This A-Z encyclopedia includes information on over 500 organizations, their founders and membership. Volumes 1984-1998 are available in Addlestone Library. The first and fourth editions are available in Addlestone Library. Located in the Avery Research Center. The 1998-2015 editions are available in Addlestone Library. Full-text online. Also available in print in Addlestone Library and the Avery Research Center.